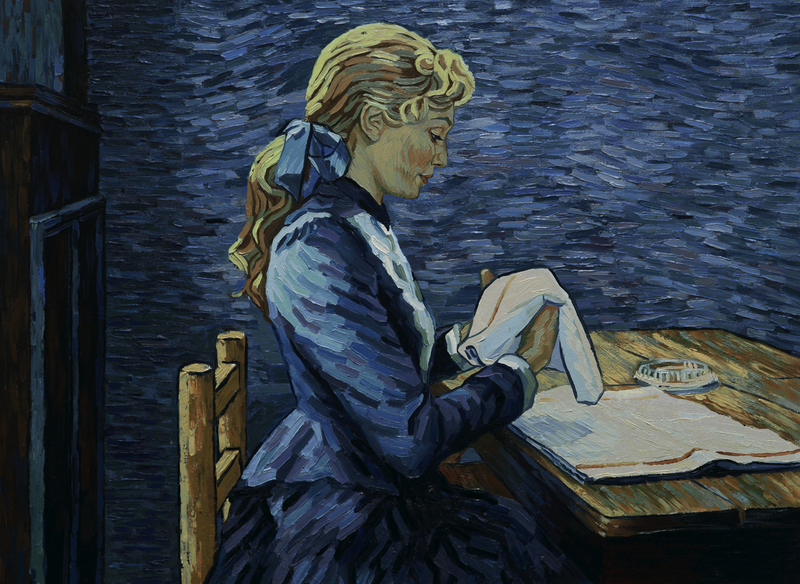 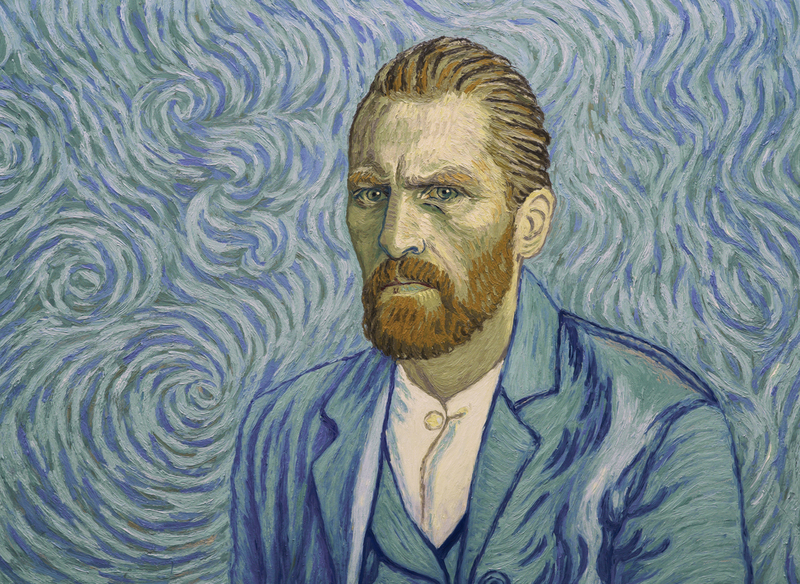 The final mysterious days in the life of Vincent van Gogh are the subject of investigation in this formally daring work, seven years in the making, that marries live action performance to hand-painted animation in the manner of the artist to create an immersive visual experience where form follows function. 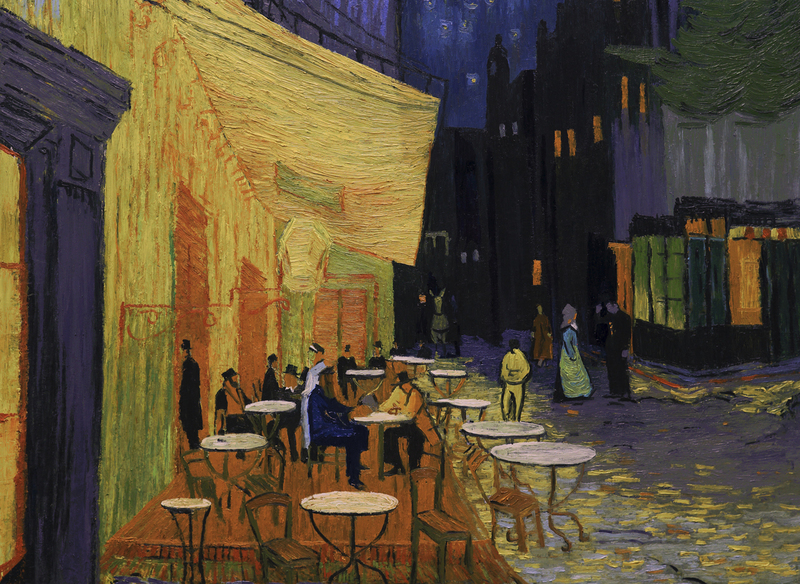 Van Gogh’s brief, tumultuous life ended from apparent suicide at the age of thirty-seven at Auvers-sur-Oise. 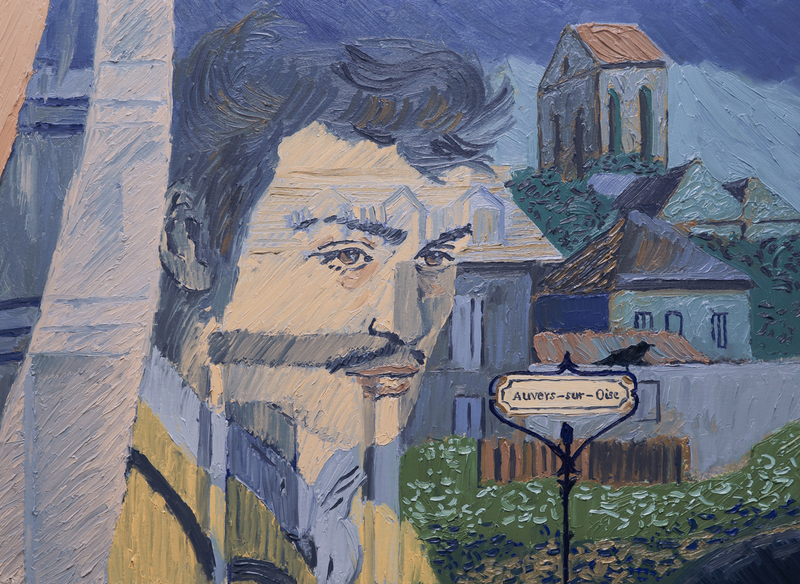 Directors Kobiela and Welchman revisit the event from multiple angles through the character of Armand Roulin (Douglas Booth), a subject of several of the artist’s paintings, who has been travelling to deliver a letter to Vincent’s brother, Theo, now also deceased. 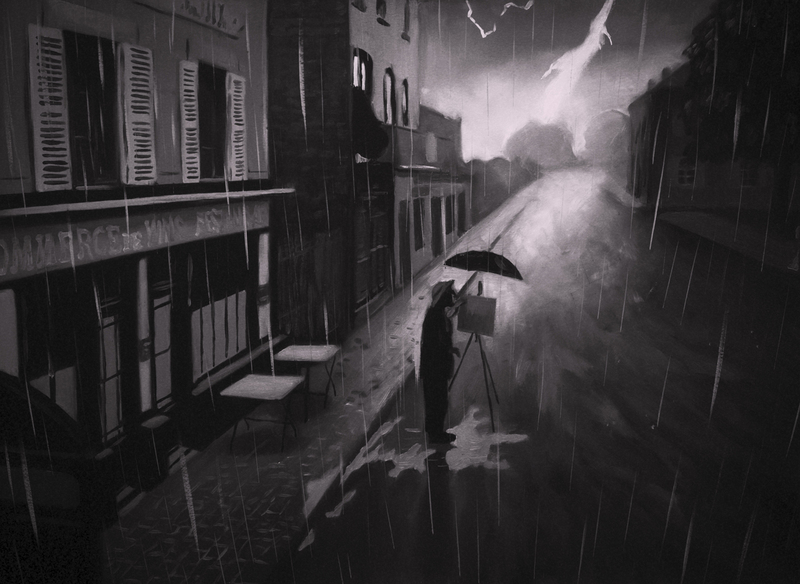 Roulin acts as both amateur detective and narrator as he interviews those who knew the artist in an effort to understand his motivations, encountering a variety of contradictory stories along the way.